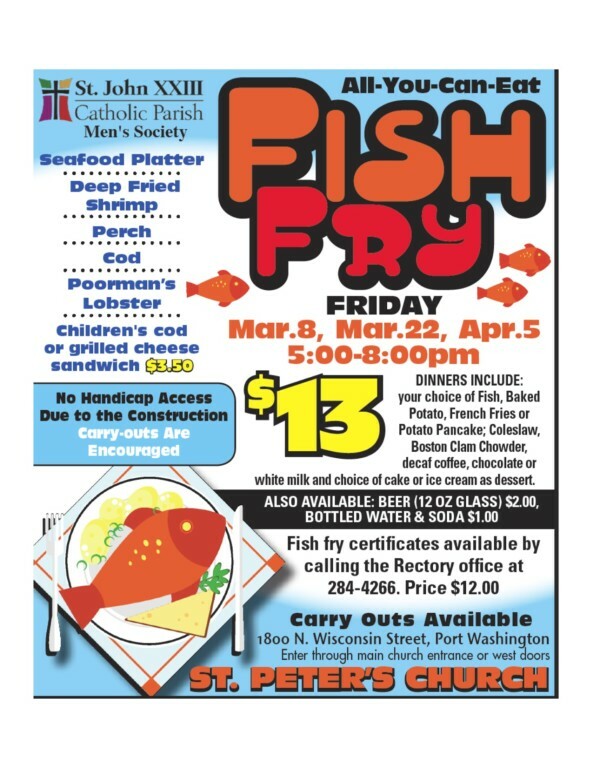 Join St. John XXIII Men's Society on Friday, March 8, March 22 & April 5 for an all you can eat Fish Fry!. Dinners Include your choice of Fish, Baked Potato, French Fries or Potato Pancake; Coleslaw, Boston Clam Chowder, Coffee, Milk, and Dessert. Beer and Soda are available for Sale.